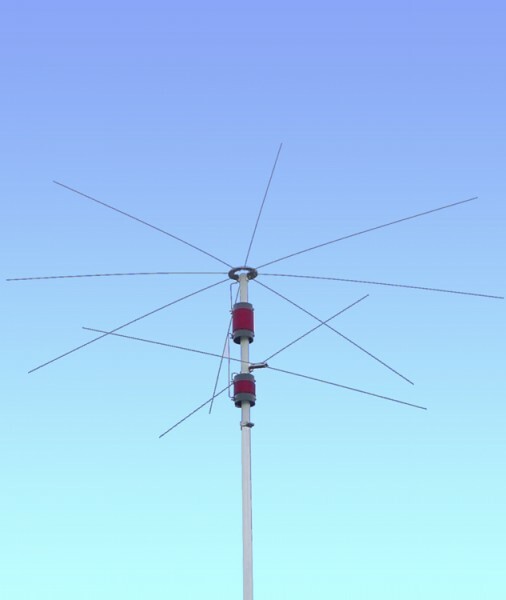 Produktinformationen "Cushcraft MA-8040V 80/40 Meter Vertikal Antenne"
MA8040V is a compact self-supporting HF vertical that delivers excellent DX-hunting performance on 80 and 40 Meters. Only 27 feet tall and weighing in at less than nine pounds, it is small and light enough for one person to handle easily without assistance. Once installed, the MA8040V virtually disappears against a backdrop of trees and foliage. Parallel resonators use a combination of inductive and capacitive top loading to deliver automatic band switching, high efficiency, and rock-bottom SWR on both bands. Designed to handle maximum legal power and built to last year after year, it’s the perfect DX solution when the sunspots silence the higher bands. Radial kit included. Weiterführende Links zu "Cushcraft MA-8040V 80/40 Meter Vertikal Antenne"
Kundenbewertungen für "Cushcraft MA-8040V 80/40 Meter Vertikal Antenne"